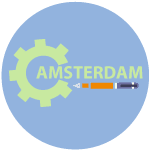 DutchTrans is a professional Dutch translation agency focusing specifically on Dutch to English and English to Dutch translations, but providing translations from and into any language. 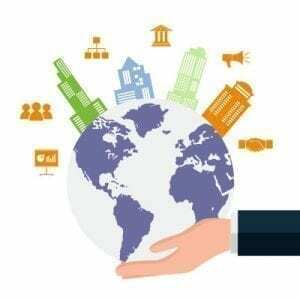 We are a global translation agency and we offer Dutch to English Translation Services with more than 3000 translators serving clients all over the world. We are an ISO certified company, as we maintain the most superior quality standards and continuously aim to improve . 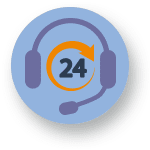 In order to offer our services worldwide, we offer translation services 24/7; not just for answering the phone but our translation teams are available for any translation you may need. 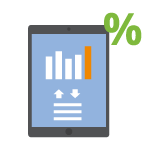 Document translation is translating your documents in the language you need. 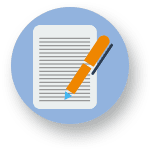 Here, your content is translated by native translators who specialize in various subjects such as legal, technical, business, medical sciences and much more. Whatever language you require is offered besides Dutch into English and vice versa, we translate from and into every other language. Just request a quote and the language you need to have your document translated into and we will offer you the best price. DutchTrans is a professional translation agency focusing specifically on document translation. In addition, we are also a provider of high quality software and web localization services. As overseas trade becomes more and more commonplace, demand has increased for companies to localize their website and target their products to as wide an audience as possible. Our dedicated team of professional translators, proofreaders, localization experts and web engineers ensure that your company’s message is communicated clearly and effectively to your customers. Using our website translation and localization services, you are confident you are entering a new market as a leader. Let experts from a Dutch Translation Agency lead the way to globalization. In today ́s global marketplace, communication with overseas customers, partners, suppliers and colleagues is essential. Whilst English is indeed a global language, it has been proven that localized material is much better received by potential customers even if they are proficient in English. For more details click here. Our translation office in London, UK is our main office that is working around the clock to suit any need, which also provides certified translation for immigration in the UK. Feel free to visit us in London, but if you can’t, you can also order online. If you are around, feel free to pay us a visit at our Amsterdam office, where you will have the chance to talk to us in person, ask us any questions in regards to your translation and see how we work. We are of course easy to reach offline just as easy as we are online. Hoofddorp is where our first office is, and although there aren’t many clients to visit us here except for local people and company representatives, we kept the office as we love to work here. Feel free to visit our Hoofddorp office any time! We are a Dutch translation agency which has been providing accurate translations for more than 16 years. We have a network of more than 3000 professional, carefully picked translators spread across the globe and due to our unique project management system, we have a live connection between our offices, our project managers, our translators and our web specialists, which allows us to pick the best translators for your job and have them working on your project in minutes. Our translators are well aware of the process of adapting information to a suitable format that will perfectly fit the target language and culture. We, therefore, prefer native speaking translators for superior results since it is certain that they would be well aware of their respective cultures. We assign 2 translators with each project: the first translates and the second proofreads the translation, which is then checked by our quality assurance team before being sent to the client along with a quality report. Thousands of customers have trusted DutchTrans with their projects so far and not even a single one has anything negative to say about our services. A large part of them are old clients which always come back to us when they need more translations, and they are always happy with the output while leaving behind constructive and positive feedback. On top of general document translation for businesses and individuals, our office in London also provides certified translation for immigration to the UK. Every translation of personal documents is accompanied by our certificate of accuracy, which ensures that the translation is a true representation of the original and attests to the fact that we are fluent in both languages and therefore qualified to translate. The document is dated, signed and stamped by us. What does it need for your business to succeed in the global market today? One view of success is the ability to achieve your goals. If your business is looking to expand to other language and cultures, it is essential to get highly accurate translations. 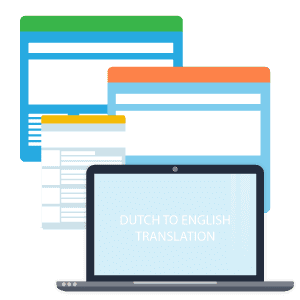 An accurate translation can easily be done by our professional translators at DutchTrans who can take on different sized projects and offer lower rates. 100% customer satisfaction can never be achieved unless outstanding customer support is offered and this is why DutchTrans emphasizes exceptional customer support to the highest degree. 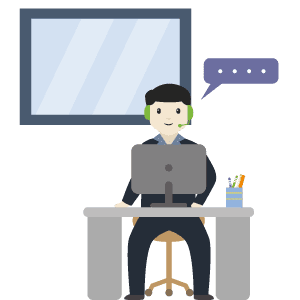 We have a proficient and efficient support team which is always available to deal with your translation issues, to answer all your queries and concerns or to give you a free quote no matter when you need it. As business expansion continues to grow at a dizzying pace, delivering services on time, every time is essential. That’s why we’re as dedicated to meeting your deadlines as you are. Receiving a clear and detailed quote out to you at lightning speed is the first move in winning your faith to deliver on time. We’ve been recognized to provide finished jobs before our competitors have even quoted on them. Do you have a far off language that you want to get your content translated into from Dutch, a language like Tigrinya for example? There are many ways to ensure that the translation that you get is accurate, economical and provided to you quickly. DutchTrans is a professional translation agency in London and is here to give you the most accurate translations with ease and efficiency, at a low price. You need a Latin translator who can translate your Dutch content into Latin? That is a hard sell because there aren’t many fluent speakers of Latin in the Dutch population. But you do not need to worry as DutchTrans has translators for just about any language, so our clients will never have issues getting the translation that they need. Our services are affordable, efficient and always available. Papiamento to English translators would not be so commonly available, yet to find a translator for Dutch to Papiamento will be next to impossible. Still, DutchTrans is here to your aid! We have professional native speakers of Dutch and Papiamento who can give you expert translations without any issues. We are fast, efficient and will provide you with accurate translations at affordable rates. Tamil speakers are not a common occurrence in the Netherlands, but you need Dutch translators who are also fluent in Tamil. You need not worry because DutchTrans has translators for all Asian languages. Our Tamil translators are fast, efficient and can translate any document. You will not need to worry about any complications or inaccuracies as you will get the translation that you require. Our team consists of professional translators for any language, and we are able to translate Dutch to Indonesian easily. Our linguists are professionally trained and we do our best to provide quick delivery and affordable prices. You will be glad to have used our services. We are a professional Dutch translation agency who can provide accurate and cheap translations from and into any language in the world. Urdu is the official language of Pakistan, and even though this language has millions of speakers; it is not too relevant or connected with the Dutch population. That is why we are not surprised that you are having a hard time finding a Dutch to Urdu translator. We are here to provide you with these services at minimal rates and a fast turnaround time. You should try us now. Call now and get a quote! Hindi is one of the major languages of the Asian market and it doesn't have any relation with Dutch, however, there are a lot of reasons why you'd need to translate Dutch to Hindi. You have Dutch content that needs to be translated into Hindi and you wish to ensure that the translation is professional, quick and economical, you have just described the DutchTrans business model! Get in touch today! The translation between Danish and Dutch is a comparatively easy task but finding translators who can provide quick, cheap, yet accurate translations is not. DutchTrans can help you in this regard at economical rates and a quick turnaround for Dutch to Danish translations because we believe in being accessible to our clients. We are a full service translation agency that can provide translations for any language. Dutch to Chinese translators are not economically available as Mandarin is an expensive language and Dutch is costly due to its basis in the European culture. But we are here with professional translations for our clients that will be provided at low cost and with a quick turnaround. We will give you the best translations at reasonable rates because we believe in helping our clients no matter their pocket size. Afrikaans is a language that is incredibly rare in terms of translators and when you add that to the fact that your content is in Dutch, the translation project becomes many times harder. But we are here with the best translation rates that you can find and with the most competent Dutch to Afrikaans translators in town. We are here to serve our clients with accurate translations at low prices and quick turnaround. Finding the best translation services near you is not easy work. You have to look for a provider that caters to all your needs and is available whenever you need it to be. DutchTrans is a professional translation agency offering translation services to clients across the UK and abroad. Most of our services are delivered electronically so even if you’re looking for translation services near me, we can help. Because of our extensive pool of expert translators, we can often offer translation services near you on short notice for urgent tasks. And if you need translation in a rush then contact us for a free quote; we have translators standing by who can deliver translations in 24 hours to the high quality you would expect from a professional translation agency. Search on Google: The best way is to search on Google and read the reviews given by happy clients. 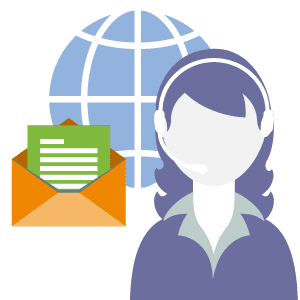 This helps you connect with the right document translation service provider in your area. Seek assistance from expert attorneys: Another way is seeking assistance from experienced attorneys. Attorneys know how to proceed in the court if any of the issues arise between your search for translation services. They provide you with the free resources and guide you all through the process. Or you can come to us. We are available 24/7 and we provide highly accurate translations for businesses and individuals alike. 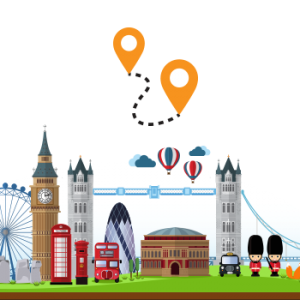 If you are looking for translation services near me and do not know what to choose, you can order from us by visiting our office in London or even easier, talk to us online. Your translation will be delivered at your doorstep no matter where you are. Get your website, marketing materials, legal documents and business contracts ready to take over international markets with our human translation services. Our services up-level your global reach in ways your business has never experienced before, an opportunity to get your point across to an international audience. 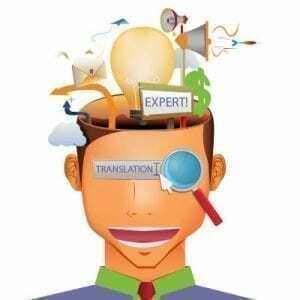 An expert translator learns and recognizes both the source and target languages of the translation. But more significantly, a professional translator describes cultural thoughts, not just written statements. 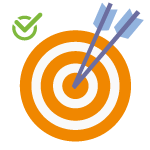 A translator transforms the words but not the meaning of a message, using correct syntax and grammar, into the target language the client needs. We believe that each translation call comes from the heart: the heart of human; the heart of a business. We also believe that translations powered by human linguists are the only way to maintain that heart in each translation and we always use two linguists to each project in order to insure accuracy. Not only that, but each and every translation project is put through a precise quality control check to ensure the translation isn’t just close, but 100% correct. There are many translation providers that you can find online. If you are searching for professional translation services near you, DutchTrans is the place that can give you all linguistic help you’ll ever need. If you are looking for English to Dutch translation services, DutchTrans is the right place to get accurate translations at fair rates. By translating your documents to Dutch, you’ll access an audience of 23 million people, appreciably spread out your target market, and make your services and products more accessible to Dutch speaking communities. It’s a fact that people are 4 to 5 times more inclined to buy a product from a website that is written in their language. 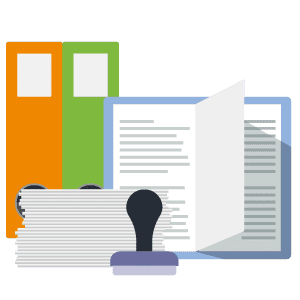 Whether you are translating user medical documents, business manuals, user guides or website content, we have native translators for any sort of translation. 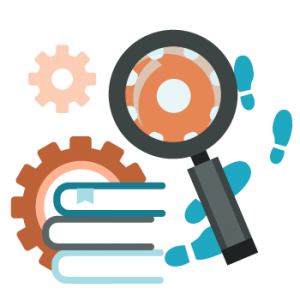 We have the knowledge and the essential resources for even the most technical translation and terminology. DutchTrans offers English to Dutch translation services in areas of academic, technology, legal, medical and more, and by using specialized translators in such fields, you can rest assured you get quality services that convey your message with precision. We deliver your translated documents quickly and on time, and at the most reasonable prices you can find. To get a free quote now, make a contact with us and you’ll be provided with a detailed price estimate in minutes. 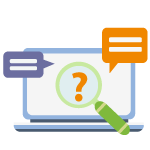 Or for a more personalized service, use our live chat option for consultation and questions. Looking to translate Dutch to English? The Dutch language is one of the most broadly spoken languages across the word. It is above all, relevant in English-speaking countries that do business with the Dutch world. Our team of Dutch translators consists only of native Dutch speakers who also have extensive English expertise. Translating Dutch to English is needed for loads of reasons. 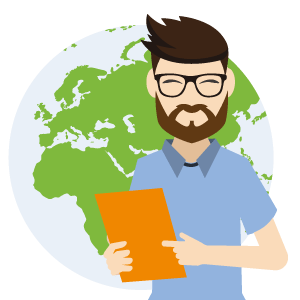 Software translations are really in high demand, as well as localized Dutch to English translations for academic, IT documents, legal documents, business, web page and SEO content, and much more. DutchTrans is one of the leading Dutch to English translation service providers, serving the global client base for documents in any business or countryside needing our expertise. The Dutch translation team at DutchTrans works for one of the best translation companies in the world, and if you are looking to translate Dutch to English, look no further, we are your choice. We are used to handling challenging formats, materials and translation areas for business, medicine, law, physics, and so on. Your text will be localized and handled resourcefully! We offer you three translators; one to translate your text or document, another to edit and a third to proofread it. Looking to translate Dutch to English? If you want to get a free quote for any document or text, simply use the top menu to choose your language and connect to our live 24/7 live-chat for a free consultation. 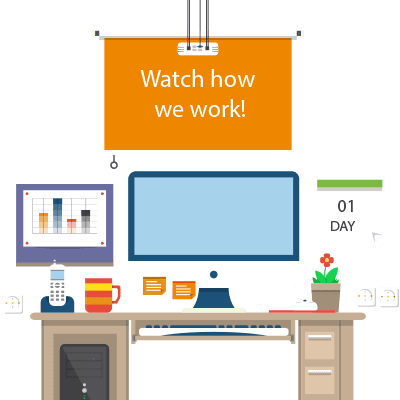 A project manager will be with you within seconds. We only employ professional Dutch translators with proven experience in their field. In order to avoid errors, we always assign at least two linguists to any project where the first translates and the second linguist proofreads and edits the translation. We are able to quickly assign the best Dutch translators to a project as we have a live connection with our team of over 3.000 translators which allows us to pick up the best ones based on their languages, their experience in the field and their scores in our internal rating system. We do not only work with Dutch translators. Although we have started as a Dutch translation agency, we have evolved during the years to a multilingual agency which is able to deal with any language. At this time, we are perfectly capable of translating any document, website or app in any field, from and into any language. Even more, due to public demand, we also have immigration specialists in our midst who are providing translation for immigration to the UK. If what you are looking is quality translation delivered in time at a fair price, we are probably the best choice. Visit our offices, give us a call, send us an email or use our live-chat feature to get in touch, an experienced project manager will always be available to answer your questions or to give you a free quote. Although we are specialized in Dutch and Flemish, we can translate from and into any language. Besides providing translations for businesses, we also provide certified translation for people looking to immigrate to the UK. If you need affordable, yet high quality services, get in touch!